Cape Cod and New England Experts in Home Electronics Specializing in Home Automation, Audio, and Video Solutions! 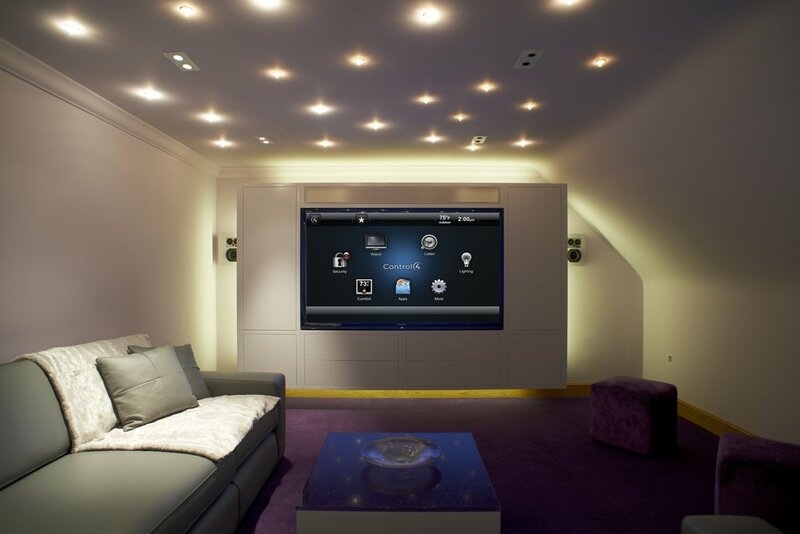 Your Experts in Home Electronics Specializing in Home Automation, Audio, and Video Solutions! New England Home Automation proudly serves Boston, The South Shore, Cape Cod, Martha's Vineyard, and Nantucket, providing expert services and specialization in Home Automation, Home Theater, TV Installs, Home Audio & Video, Climate Control, Smart Lighting, and Home Security Solutions. Imagine, total control of your home's entertainment systems, lighting, and climate control at the touch of a button. New England Home Automation is Cape Cod's go-to home automation and smart home specialist. With so many stresses in daily life, it is nice to take at least one off the list by having complete control of your home from anywhere. Being able to see what is going on at your home without physically being there puts your mind at ease and keeps your home safe and secure. We are the very best at home automation and smart home designs. Call our expert design team today and we can build the perfect system for your budget and your needs. Its more than a TV install and some speakers installed, its a the premier entertainment experience that can made be possible right in your own home with the expertise of New England Home Automation. We offer the very best in home theater design including movie theaters, custom sound, and lighting. With improved technology comes better ways for you to enjoy entertainment. After you and your family experience your favorite movies, sporting events, and video games through a high-quality home theater system, you won't want to go back. We install TVs, and all audio video equipment. New England Home Automation provides seamless installation of audio and video systems throughout your home, both indoors and outdoors. Contact us today for the best team on Cape Cod, Martha's Vineyard and Nantucket. Our number one goal is customer satisfaction. From in-ceiling and in-wall speakers to sound bars and outdoor weatherproof speakers. For audio throughout your house, consider a whole home or multi-zone audio system. Whatever room your in your music and entertainment will follow you. Keep your home at a comfortable temperature and improve the efficiency of your home's climate control system with an installation from New England Home Automation. With our system you will save 20% on energy costs. Occupancy-based automation means the HVAC system is only running at full steam when you’re home. We can retrofit your existing home to gain complete control over your home's energy usage. Add elegance to any room and improve energy efficiency with a control system from New England Home Automation, the premier smart lighting installer on Cape Cod. By adding smart lighting using LEDs and sensors we will save you 50% on your electricity bill. Control your lights when you are not at home for increased safety and security. We put the control in your hands. An intelligent home security system will let you rest assured your home is safe all hours of the day. Contact our team today to provide you peace of mind about the security of your Cape Cod home. Get notified of potential break-ins with motion sensors and glass break detection. Monitor windows, doors, and garage doors. You can even unlock your doors remotely with our integrated system. Watch for water damage while your away with leak detection. We provide the very best in security you can save 20% on your insurance premiums by using our systems. Want to learn more about home automation but don't know what to ask? Let us show you.